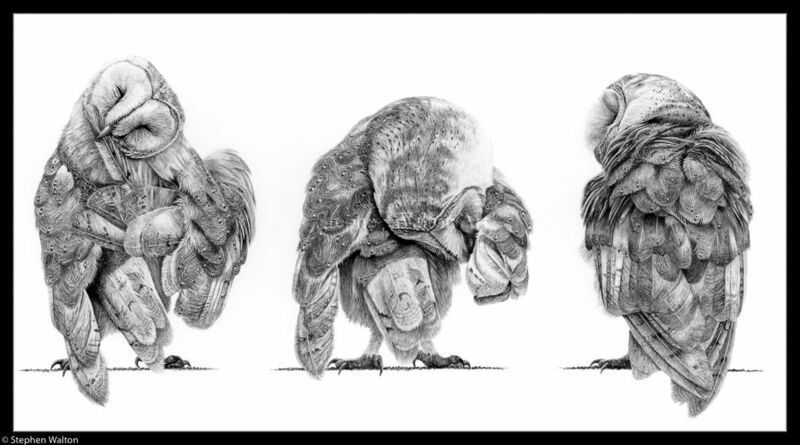 This was a difficult drawing showing some of the unusual positions the Barn Owl assumes as it preens. This drawing had several 'firsts'. It was the first time I had experimented with showing an animal in slightly unusual positions and the first time I had used a composition of three animals in a line, which has now become a favourite theme.